March Member Of The Month | Noelle K.
I joined in the Summer of 2017. As a law enforcement officer, I was looking for a fitness program that’s directly applicable to my work. I’m physically small in size, so I’m not going to win any fights based on size or strength alone. 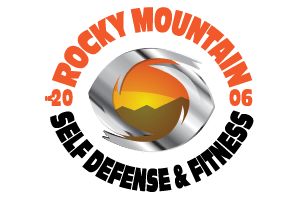 I was looking to develop more self defense skills that can help me compensate for my size disadvantage and give me more confidence when dealing with a variety of threats. I was also looking for a high intensity workout. I’m great at motivating myself to do long and slow cardio runs, but I need a group environment and a motivational instructor to do the high intensity interval workouts. You won’t find me hitting the heavy bag or doing burpees or jumping lunges on my own. What changes in your health, physique and overall performance have you seen since starting Krav Maga? I’ve increased my stamina and strength. Physically, I’m quicker and more explosive. Don’t be intimidated. Even if you don’t know what to do, just do something. That can be easier said than done, but I’ve found that with Krav Maga you have to get outside your comfort zone and not be worried about not knowing what to do. The classes are combined for all belt levels- I find it a very valuable experience to fight with the more advanced belts. My favorite exercise is Bad Neighborhood, where everyone walks around the room attacking each other indiscriminately. It sounds brutal, but it’s a lot of fun. Running and anything that involves the beach. I grew up in Southern California, so I feel at home when on a beach. Snorkeling, swimming, and drinking an ice cold beer in the sand are my favorites. Successfully applying the skills I’ve learned in class “on the streets”. I recently fought someone at least twice my size, and I went home safe. My reaction in the moment was instinctual- without thinking about it, my training kicked in. The reaction from the aggressor was one of surprise and shortly thereafter, submission. He didn’t expect me to fight back like I did- it’s amazing how the element of surprise (or someone underestimating you) can turn the tables. Have you made any changes to your diet? I’ve always eaten a healthy and balanced diet, but I’ve noticed quite an increase in my appetite since starting Krav Maga. The high intensity workouts really increased my metabolism, so between meals I’ve started drinking protein shakes. At the risk of sounding melodramatic, Krav Maga saved my life about 15 years ago. I took some Krav Maga classes for about a year while in college in the early 2000’s. After college, I was working a high risk job in a foreign country when I was attacked by someone who was sent to kill me. I got stabbed- I obviously didn’t have an effective edged weapon defense, but my ability to immediately counterattack and fight back, violently, saved my life. I attribute the mental preparation that I learned from Krav Maga with giving me the edge that I needed to fight for my life. I find daily inspiration in the way I’ve been able to overcome numerous physical challenges in my life. I have a gnarly scar on my shoulder from being stabbed, and it’s a daily reminder of how lucky I am to be alive. My friends love to poke fun at me and joke that I’m like Jason Statham’s character in the movie Spy (he has a comically ridiculous list of absurd injuries he’s sustained)… I’m a two-time cancer survivor. I’ve broken my leg twice, blown out my knee, someone tried to light me on fire with a Molotov-Cocktail, and I’ve been stabbed. I’m not in the best shape of my life, and that’s ok. There are some exercises that I simply can’t do any more without a lot of pain. I’ve found peace with being in the best shape for where I’m physically at in my life now, because simply being alive is a gift for me.